Outdoor plants that bloom at night can create a beautiful, fragrant backdrop for fragrant summer nights spent under the stars. Several varieties of gorgeous, night-blooming flowers are well-suited to the climate and growing conditions here in northern Utah. Plant one or more of these beauties and you’ll have a magical, moonlight garden in your back yard. 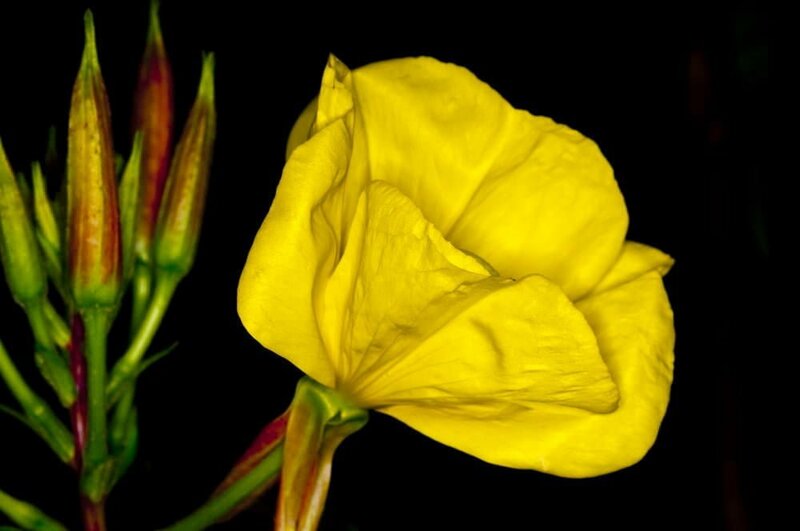 Yellow evening primrose, or Oenothera flava, has brilliant cup-shaped flowers that resemble dandelions. The lemon-scented blooms open in the evening and close by noon the next day. Growing these stunning night-bloomers is extremely easy, as these outdoor plants can tolerate dry, rocky soil as well as full sun, partial shade or full shade. Primrose can reach three to five feet in height, so they can provide a striking focal point for a moonlight garden. Several varieties of night phlox, or Zaluzianskya, feature bursts of stalks with small flowers that open at dusk. These night-bloomers are available in shades of white, purple and dark red, and their honey-almond vanilla scent pairs well with other aromatic moonlight garden flowers. Well-drained soil is a must for these low-growing outdoor plants, and they need full sun during the day to thrive. Matthiola longipetala, or the night-scented stock, has small, delicate flowers in shades of white, pale lilac and light blue. When these low-growing plants open in the evening, they release a delightfully spicy vanilla fragrance. Night-scented stock is easy to grow in most types of soil, but it does need full sun. In addition, these outdoor plants need to be watered regularly during dry periods. 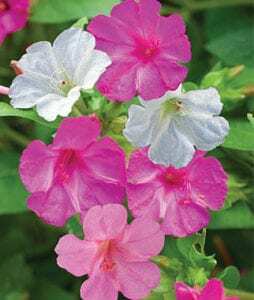 The four o’clock flower, or Mirabilis jalapa, is so-named because the multicolored blooms begin to open in late afternoon or early evening. These outdoor plants grow to about three feet, and are available in a wide range of shades, including pink, yellow, white, red and magenta. These highly fragrant flowers attract butterflies, hummingbirds and bees. Full sun is preferred, but they can tolerate partial shade. Gladiolus tristis, or the night gladiolus, is a pale yellow or striped dark yellow and green flower that opens in the evening, exuding a spicy scent. These beauties grow three to four feet tall, with blooms first appearing in the late spring or early summer months. Night gladiolus requires full sun and regular watering. And, as parts of these garden plants are poisonous, they may not be suitable for homes with pets or small children. As the name suggests, the moonflower, or Ipomoea alba, blooms in the moonlight. 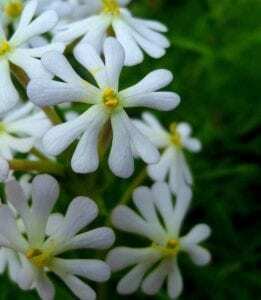 These vine plants produce large, white trumpet-shaped flowers and a slight lemon scent, providing an enchanting background for neighboring night-blooming outdoor plants. Moonflower is easy to grow, but it does need full sun and well-drained soil. Like the night gladiolus, parts of the moonflower are toxic and may be dangerous for pets and small children. 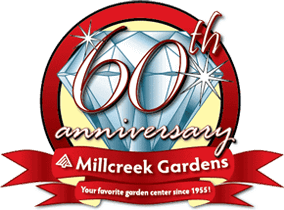 The experienced staff at Millcreek Gardens, Salt Lake City’s favorite garden center since 1955, can offer tips on creating a magical moonlight garden in your backyard. To learn more or to explore our night-blooming outdoor plants, stop in and see us today.